Montreal band The Holds may have only been together for a year and half, but their unique sound cannot be missed. Their swampy, soulful, indie-rock vibe has garnered a lot of reaction from people across both Quebec and Ontario following a two-week tour for their self-titled EP last year. The EP was released in January 2016, and the band is now excited to have new music on the horizon. 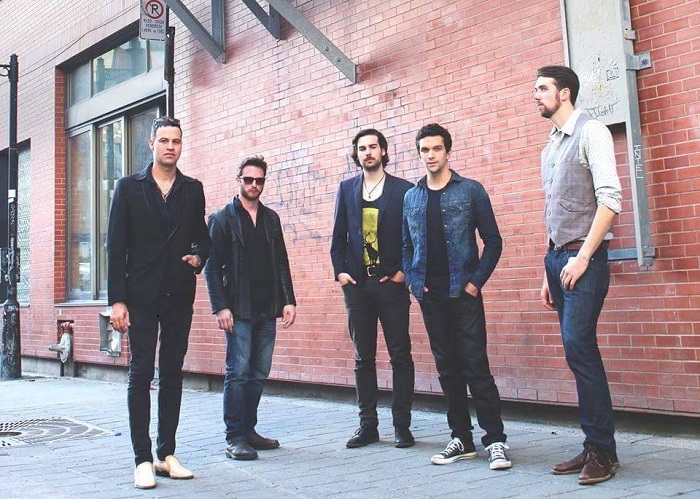 The lead singer of the band, Ryan Setton, said their soon-to-be released full-length album is very different from anything they’ve done before. “[Our sound] has changed a lot actually,” Setton said. “Obviously the instrumentation is somewhat the same, but there’s definitely more keys on the new stuff, and the songs are more dynamic, in that there’s more of a story in the music. There are things that are constantly changing and shifting throughout the tracks, whereas before, our songs were a bit more cut and dry.” Setton first started performing cover songs at bars around Montreal with Justin Wiley, the drummer of The Holds, five years ago. After years of covering other bands’ material, they both wanted to start creating their own original music. That’s when bassist Andre Galamba, keyboard player Alex Lebel and guitarist Eric Hein came in. These three musicians had the talent, personality and chemistry Setton and Wiley were looking for. Setton said their album is currently in pre-production, but the goal is to release it by this summer. The band also hopes to tour Canada for the upcoming album. Their new release signifies something much more profound for Setton. “I don’t think I’ve ever been so excited about something, out of all the things I’ve done, than this record that’s coming out now. Sometimes when I listen to it, I can’t even believe that it’s happening,” he said. Portrait shot of Montreal band, The Holds. Photo courtesy of The Holds. The members of The Holds also inspire Setton to tap into his full musical potential. “With the right group of people and the right circumstances, now there’s all this creative energy flowing,” he said. “Alex Lebel—he’s definitely, in my personal, biased opinion, one of the best key players in Montreal,” Setton said. “It’s just such a natural, raw talent that he has. He just adds such a spark and a finesse to everything he plays.” According to Setton, Galamba, who is originally from Brazil, is an intelligent and intuitive player who adds an air of confidence to the music. “[He] is very well-versed in world music. He plays jazz, he plays Latin music, all kinds of different styles,” Setton said. Hein has a lot in common with Setton in terms of musical interests. “Eric and I, we both grew up playing blues and rock and roll, playing by ear. He plays most of the lead guitar in the band, so that gives it it’s bluesy, kind of juke joint, classic 60s vibe,” he said.